The oldest of two daughters born to Sam and Ellinore (Ellen) Lane, Lois was a tomboy from the start - unlike her younger sister, Lucy. Sam Lane was career army, and was stationed in West Germany at the time of Lois's birth. Over the years, he encouraged her to be independant, tough and to stand up for herself and her beliefs - you better not start the fight, but by God, you better finish it was one of the things he instilled in Lois. When she was still in junior high, Sam enrolled both her and Lucy into karate classes, so that they would be able to defend themselves with no problem. By the time she was in high school, Lois had seen a large number of the countries of the world (some of them less than friendly to Americans) and most of the United States as well. From early childhood, when she took a school trip to Metropolis's Daily Planet newspaper (her father was stationed nearby at the time), Lois was fascinated by the world of newspaper reporting. When she was in high school, Lois's family again moved back to Metropolis, where she began to haunt the newspaper offices trying to get a job from Perry White. When she managed to get a story that Perry REALLY wanted, he finally offered her part-time work in high school and following her graduation, Lois was given a full-time job at the paper during the day, cramming in her college courses and her side job as a novelist at night. She published several mystery novels, though they weren't high on the best sellers list, supplementing her income from the paper. 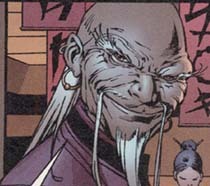 In her spare time, she underwent training with Metropolis's SCU, and also obtained her black belt in karate. By the time she was in her mid-twenties, Lois already had a reputation for being a bulldog when it came to good stories, and she took quite a few foreign assignments for Perry and the Daily Planet - both for the money (hazard pay is pretty nice) but also because she knew that her best chances at a Pulitzer Prize while she was young might lay in war-torn or otherwise trouble-laden countries. When she finally returned to Metropolis, one of her first local assignments was to cover the new space place... which began her relationship with Superman (whose name, by the way, was her invention on her front page story). Many attempts to catch him for an interview failed, and then when she finally got one, she got to work just in time to find out she'd been scooped by the "new guy", Clark Kent. This began a rivalry that was at first quite hostile, and later more friendly between them for Superman stories. Over the years, Clark and Lois become good friends even as Superman and Lois continue to meet when crazy things are going on, though Lois's jealousy (unadmitted) over Clark's friendship with Cat causes hard moments. Lois takes the hard line with her work, relegating her personal life mostly into the background (though this shortened history will show more of that than her work). During the months, Superman is thought dead MORE than once... Silver Banshee apparently kills him at one time, the Manhunters chase him. Through all these things, Lois is simply friends with Clark and perhaps to some degree pining for Superman, who she's had a 'thing' for since she met him. When she finds out that Clark and Superman were apparently raised together, she gets quite angry and won't speak to Clark for a long while. Following more adventures with Superman and an assassination attempt by Intergang, Clark vanishes... and Lois's grief threatens to overwhelm her. She is reassigned to finish the story by Perry in the hopes that busting them will help her come to grips. Her work continues to consume Lois, perhaps even moreso than ever, during this time. 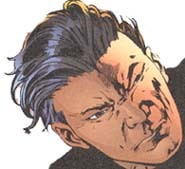 Jonathan Kent, realizing that Clark is believed dead, lets everyone know he's in Smallville (when in reality he's offplanet) and Lois's relief seems out of proportion for being "just friends", though she'll never admit that yet. Lois is by *no* stretch wealthy, but she makes a decent living at the Daily Planet and she's got a reasonable stock portfolio as well. A lot of her money from her work as a foreign correspondant is put into the stock portfolio, but it can be liquidated for use relatively quickly, if necessary. Nothing spectacular, but she can afford her apartment and a few perks like having a nice wardrobe and she'll certainly never have to worry about her retirement. Her job at the Daily Planet puts her in contact with a network of friends and colleagues that she can rely on for support and assistance when necessary, such as Perry White, Jimmy Olsen, and her fiance, Clark Kent. Her fiance's alternate identity as Superman is known to very few, and his escapades have been the source of quite a few news stories written by both Lois and Clark. Through Perry White's son, Jerry, Lois met up with Jose Delgado (Gangbuster), with whom she enjoys a close friendship although they no longer date. Though there have been times when Lois hasn't been all that physically near her family, the Lanes are a pretty close-knit group. In times of need, Lois could rely on her sister Lucy's emotional and possibly financial support, even if she'd never do so in the latter part. Though her mother is very ill, Lois's father can also be relied on for emotional and possibly financial support if she ever needed it, as well as being able to use some of his own military contacts to bring Lois aid or information at times. Her own military contacts are pretty extensive and at times, it seems that Lois has cultivated contacts at all levels of government due to her years in the hotspots of the world, first as an Army brat and then as a foreign correspondant. From young people in the communications divisions who have helped her get her story back to the States before anyone else to officers with whom she's shared dinner or a bomb shelter to all levels of enlisted personnel met through her survival training and and her growing up years in the military to colonels and generals who she's either pestered or impressed to death with her sheer tenacity, she has the uncanny ability at times to have just the right friend in the right place to get what she wants quickly and with little red tape. Her years as a correspondant and investigative reporter have given Lois a bit of a hard edge when it comes to getting the stories she wants, and she has the skills to back herself up. She will regularly race off and put herself in danger, if she thinks it will acheive her goal of getting the story, and over the years, she has picked up some interesting skills including (but not limited to) being able to read a topographical map, basic sea navigation and sailing, first aid, how to handle explosives and machine guns, and how to track and tactically survey a situation to give her the best advantage. She also has a solid working knowledge of the basic mechanics of most vehicles. She can tell you what's wrong with a car by listening to the sounds it makes, can change a flat tire, patch up a leaking brake or fuel line, change the oil... all the basics. On top of that, she's learned over the years to be able to drive JUST about anything, including boats, tanks, and can even help out in a helicopter in an emergency. One of the more illegal skills she's picked up on is how to hotwire just about anything on wheels, given 2 or 3 minutes. 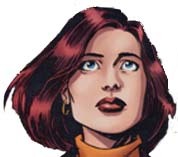 Though she owns no extremely high-tech equipment, except perhaps for some valuable, state-of-the-art bugging equipment and a nice surveillance camera, used in getting evidence for her stories, Lois has access through her contacts to other technologically advanced equipment. 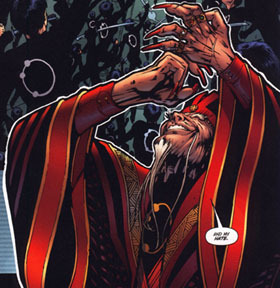 Dr. Emil Hamilton, the man who has been instrumental in helping Superman on several occasions - like when he lost his powers just before Lois and Clark's engagement - is her closest contact. While the Professor does not know Superman's true identity, both Superman and Lois consider him a trusted 'friend' and ally, and Lois has access to many of his amazing inventions, which he is constantly in the midst of creating. 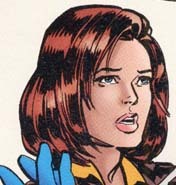 Dr. Kitty Faulkner and STAR Labs are also an option for Lois in times of crisis, though her access to the lab is highly restricted. Though she might never choose to use it, Lois also has one other useful contact - Lex Luthor. At one time, she was coveted as part of his harem of (ex)wives, and he has been the main reason that her mother has survived this long with her illness. However, Lex's help always comes with a price and given the love/hate relationship between them due to Luthor's continual attempts to hurt Superman, this contact may not ever be utilized unless it's life or death. Lois is a social chameleon, with the skill to fit in to just about any situation. Anywhere from fitting into a military setting and wearing fatigues to a high-society fete in a ballgown, she can change her persona to match what's required and seems to blend in quite well no matter where she is. This is HIGHLY useful in her line of work. Weight: A proper Woman never tells.